Get your tickets now for the May 9 Farm Dinner to support Students for Eco-Education and Agriculture (SEEAG) and the Boys & Girls Club of Santa Clara Valley. 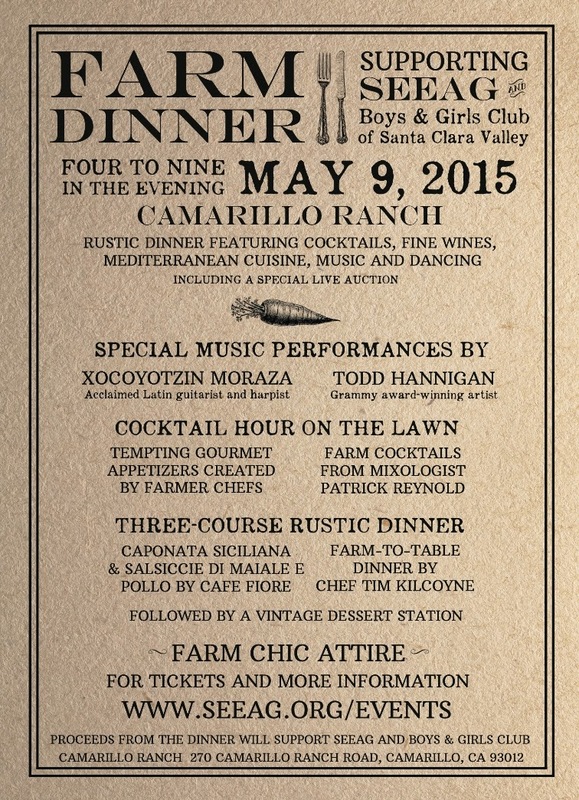 The event will be held at the Camarillo Ranch and will feature a farm-to-table dinner prepared by chef Tim Kiloyne. Entertainment will be provided by Xocoyotzin Moraza, an acclaimed Latin guitarist and harpist, and Todd Hannigan, a Grammy award-winning artist. SEEAG's mission is to educate students about the farm sources of their food from field to table while connecting them to the farmland right here in their own backyards. Agromin is proud to be a sponsor of the event. For more information and to order tickets, go to www.seag.org/events.